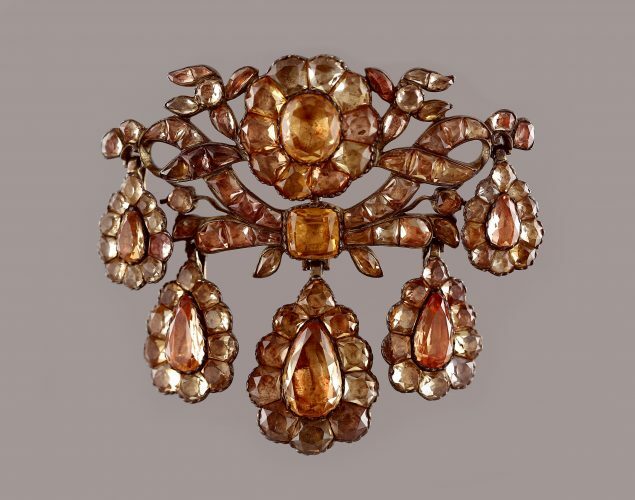 A silver and topaz girandole pendant/brooch in perfect condition. 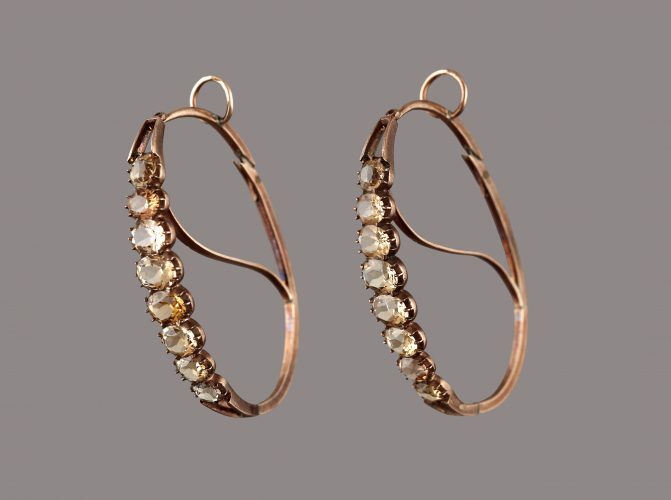 Beautiful pair of gold and topaz hoop earrings in perfect condition. 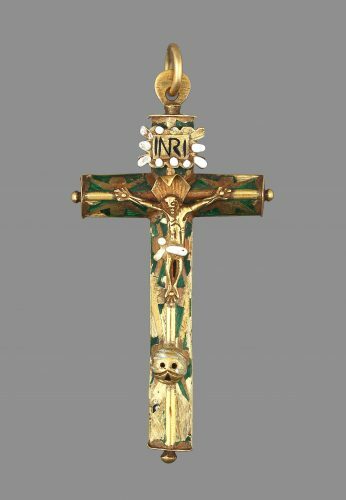 Crucifix in gold with polychrome enamels. 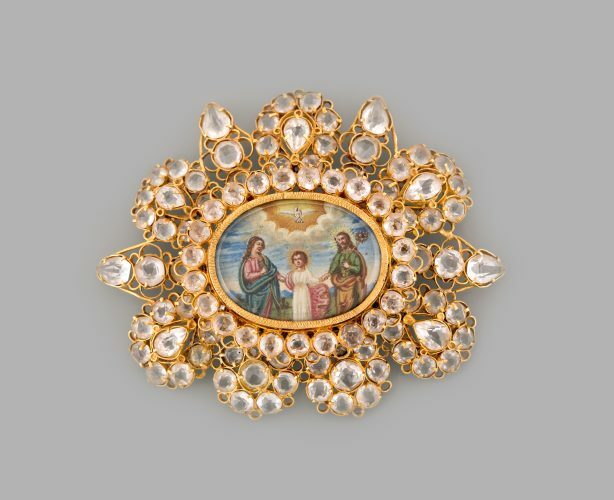 Devotional jewel in gold with rock crystals (or hyaline quartz), with central oval medallion with miniaturist paintings representing, on the obverse, the Holy Family and, on the reverse, St. Cosme and St. Damian, patron saints of children and doctors. 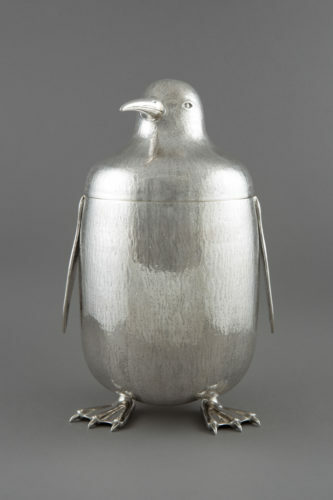 J. Baptista is a gallery dedicated to jewellery and silver from Portuguese and international origin, antique and modern, whose history begins three generations ago, in the 1960s.